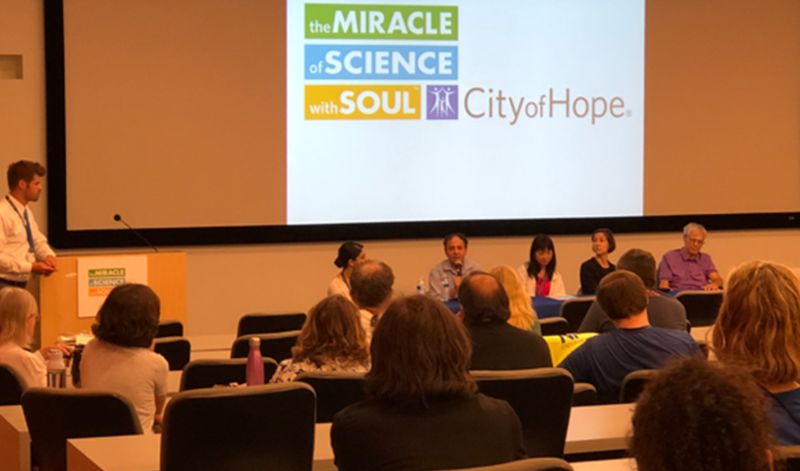 On Saturday, August 18, NF California co-hosted an Ask the Doctor meeting with a panel of specialists from City of Hope Medical Center in Duarte, CA. City of Hope is well known as a cancer specialty hospital. Because of the incidence of cancer in the NF community, there are a number of NF patients being followed at City of Hope. The Ask the Doctor meeting was an opportunity for attendees to learn more about the City of Hope resources available to NF patients. All those who attended were pleased with the meeting format because there was a good discussion about different concerns relating to NF. The City of Hope doctors produced a beautiful brochure for the meeting which provided attendees with information about the specialists from genetics, neurology, surgery and oncology who follow the NF patients, as well as how to find out about insurance coverage and schedule a new patient appointment. The Doctor names and new patient contact information for City of Hope can be found on NF Network.org. 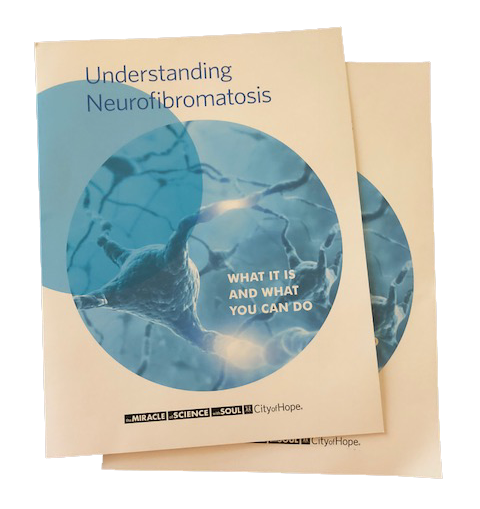 Persons interested in requesting a brochure, while supplies last, can email Katie Sperring of NF California at: katie.sperring@nfcalifornia.org. Tena Rosser, M.D., Co-Director of the NF Clinic at Children’s Hospital Los Angeles. 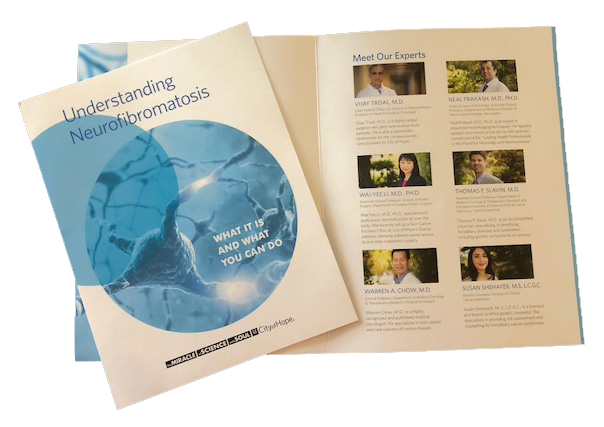 Both Dr. Riccardi and Dr. Rosser have studied NF and followed many NF patients extensively in their respective careers. Deb McCarthy from NF Network home office helped with the refreshments and raffle while in Los Angeles on family business. Deb explained the advocacy piece of our mission of support, education and advocacy for individuals and families living with NF. We had a raffle with assorted prizes, including a homemade patchwork quilt, NF California hats, games and a beach basket. The raffle was a fun way for us to support each other and help pay for the refreshments etc. at the free meeting.